This year I’m pulling out some old toddler sensory activities and (hopefully) creating some new ones for my almost-3 year old to experience. Each week she focuses on a color, shape, and letter. Our first color sensory activity was our green sensory box. 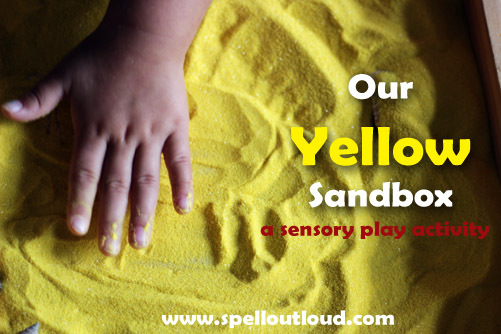 This week I pulled together the little yellow sandbox to fit in our theme. My daughter loves to play in the sand. I think most young children enjoy pouring, building, and digging in sand. I thought that we would bring some sand inside this week for our color activity. I purchased colored sand at my local hobby store. 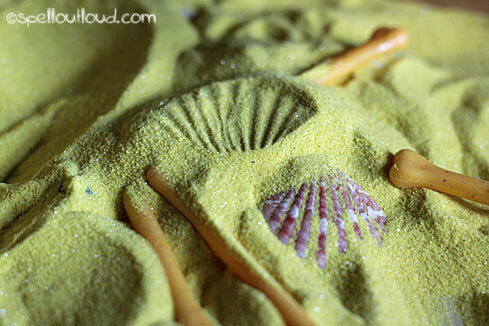 Then I rummaged through my supply closet to see what I could add in the sand. I decided to add some shells and yellow plastic dog bones (they were from a game we owned.) I hid them in the sand and gave her a toy spatula that had holes. She used it to sift the sand away from the objects. 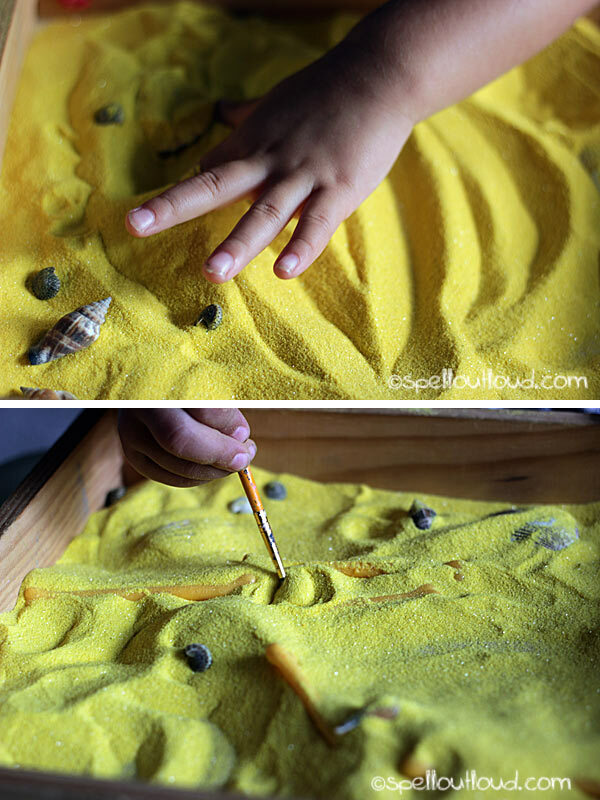 She also drew in the sand with her finger and used a yellow paintbrush to brush away sand off the hidden objects. She enjoyed using the paintbrush with the sand. She would take her time to carefully sweep the sand away from a sea shell or a bone. I told her she was an archaeologist! My 5 year old daughter decided she wanted in on the sand fun too. She discovered that if she pressed the shells in the sand, it left an imprint! She showed my 2yr. old how to do it and they made shell patterns. Call out a shape and have your child trace the shape in the sand. Have a small funnel and yellow bottle or container. Let your child practice filling it up with sand. Hide yellow objects and non-yellow objects. 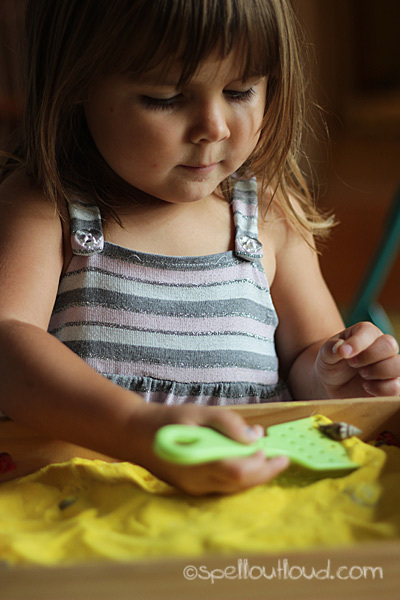 Have your child sort the objects by yellow and non-yellow. We will be pulling out the book, The Little Yellow Leaf by Caren Berger. I read this book to my now 5 year old and blogged about it over at Totally Tots. Check that post out to see some fall-related toddler activities that also go along with the book. 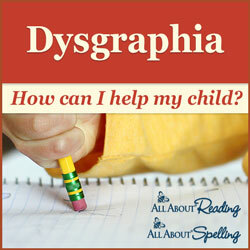 The letter Y early handwriting worksheet I created several years ago came in handy this week. I have a whole collection of early handwriting worksheets for every letter. 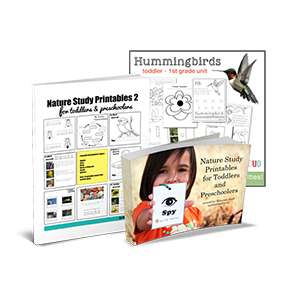 You can find them here: ABC Printables. 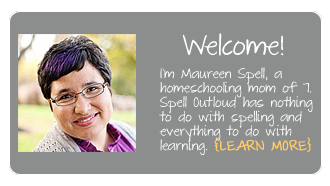 Love this, Maureen – how much fun!! It’s a fun change to have colored sand! 🙂 We’ve done salt trays too. 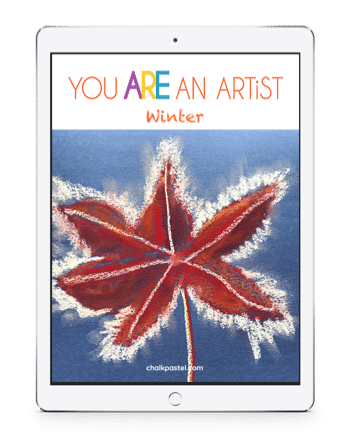 Different texture– same basic idea. This is so cute. 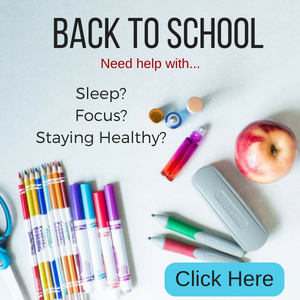 Do you have a post about how you organize all of your sensory play activities. how far in advance you plan them and how you budget them? No I don’t Rebecca. I’m a little more on-the-fly and don’t plan out things too far ahead. 😉 I believe Carissa from 1+1+1=1 has a couple posts on how she organizes her sensory play materials. As for budget– I try to use what I have at home or what I can get with 40% off coupons from Hobby Lobby. If I invest in an item, I try to make sure it can be used in multiple ways and/or for more than 1 child.